I apologize for the long delay in my blog posts, but it’s been a tough re-entry into reality. I’ll be making more of an effort to keep this thing up to date, so please stay tuned. 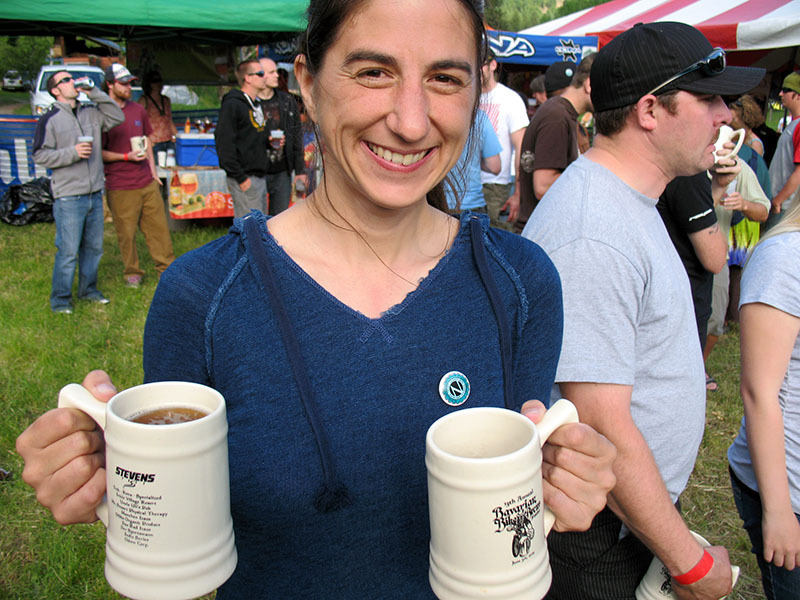 On a brighter note, Jen and I just rode in the 13th Annual Bavarian Bike and Brews fest last weekend in Leavenworth, WA. We used to ride this event for many years in a row in the late 90’s and early 2000, but the participation by our circle of friends who made this event so much fun had dissipated, so we decided to give some of our other local events a try… Well, this year has been one of trying to reconnect with our past rituals and this BB&B event is definitely back on our calendar for next year. Some of my biker buddies will probably laugh at my race results, but in my defense this is 17.2 miles with 3,600′ of elevation gain, and it was my first time on my mountain this year. Jen had a repeat of her previous race experience here at this event of climbing 1,800′ in 8.6 miles and 2nd place at the heels of the leader on top of the mountain only to get passed on the downhill to place 9th. Well Jen, we will have to work on your downhill skills, but it’s best to take that downhill easy, because those water bars are really tricky at speed. We don’t do this event to seriously compete. It’s really more of a social thing for us, but I’m posting these times only to see if we can beat them next year. The Bavarian Bike & Brew Festival is unique in many ways. The IMBA sanctioned XC race features a spectacular, but rigorous 8.6 mile loop with 1800 ft elevation gain per lap. Each lap has four creek crossings, challenging single track, and plenty of water bars interlaced throughout the most spectacular scenery you have ever seen. This is not a course for the timid soul, but will challenge all who commit. And did we mention the brew part? Camping on site? Music?